The Laserworld Club Series - Speed Edition is equipped with super fast 50kpps (special Xscan) scanners that significantly increase the quality of the effects and beams. The "Advanced Scan Fail Safety" is also integrated in this edition to maximize safety during operation. Devices of the famous Club Series are ideal for the use in middle-sized clubs or discos. For professional use the device can be operated with laser control software. 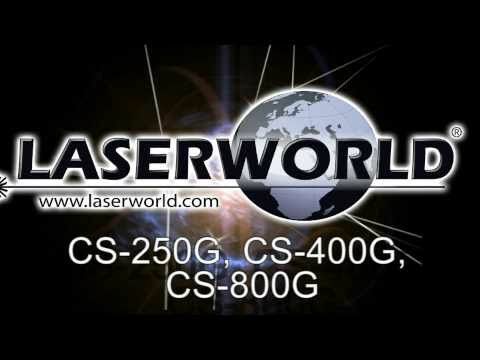 Considering purchasing the Laserworld CS-400G SE Speed Edition Green Laser with Super Fast Scanners? Have questions? Ask people who've recently bought one. Do you own the Laserworld CS-400G SE Speed Edition Green Laser with Super Fast Scanners? Why not write a review based on your experience with it. 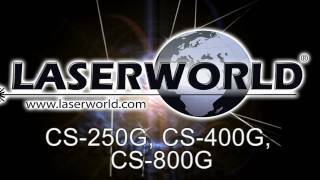 Seen a video for Laserworld CS-400G SE Speed Edition Green Laser with Super Fast Scanners online or have you own video? You will earn 2,514 loyalty points with this product worth £6.29, when logged in. Check out Laserworld CS-400G SE Speed Edition Green Laser with Super Fast Scanners on DJkit.com!